Beautiful 4 bedroom villa located on a plot of 5 acres, in a quiet and secure location 5/8 min from FINNS Beach Club, Echo Beach, Batu Bolong, Berawa beaches. 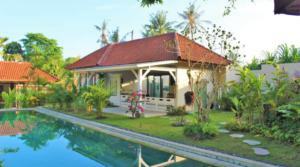 Beautiful 3 bedroom villa of 195m² on a plot of 600m² overlooking the rice fields located in Berawa / Canggu. Shops, restaurants, supermarket at 2 minute’s walk. Berawa Beach and the famous Finn’s Beach Club are at 4 minute’s drive from the villa. The charming 3-bedroom villa is located 1.6 km from Seminyak Shopping Center and 600m only from the whilst Bintang supermarket, in Seminyak. 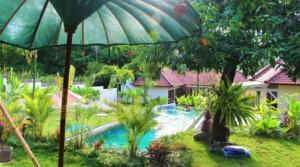 3 bedrooms, internet WIFI, swimming pool, equipped kitchen … are at your disposal. 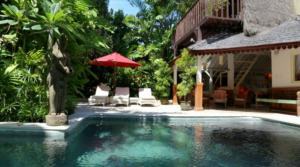 Charming 5 bedroom villa located between Legian and Seminyak 5 minutes from the beach of the double six. 5 rooms, WIFI internet, swimming pool, equipped kitchen… are at your disposal. 3 rooms, WIFI internet, swimming pool, equipped kitchen… are at your disposal. 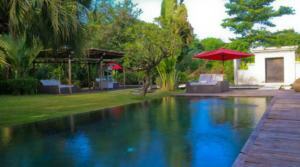 Charming and large villa, rice fields view 5 minutes from the beaches of Echo Beach, Batubolong on a 650m2 plot. Villa Marcella is located in Pererenan, a charming village 5/8 minutes from the famous beaches of Pererenan, Canggu and Echo Beach (restaurants, shops, surf …) and 25 minutes from Seminyak. 2 rooms, internet WIFI, swimming pool, equipped kitchen … are at your disposal. Villa Rosemarie is located in Pererenan, a charming little village 5/8 minutes from the famous beaches of Canggu and Echo Beach (restaurants, shops, surf …) and 20 minutes from Seminyak. 6 rooms, internet WIFI, swimming pool, equipped kitchen … are at your disposal. 1 bedroom, internet WIFI, swimming pool, equipped kitchen … are at your disposal. 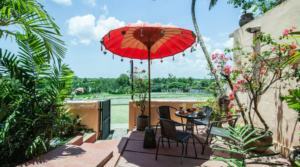 2 bedrooms, internet WIFI, swimming pool, equipped kitchen … are at your disposal.